Michigan Tech’s Rozsa Center, in collaboration with The Department of Visual and Performing Arts, The Provost’s Office and The Great Lakes Research Center present the film “PROJECT: ICE” by Director and Executive Producer William Kleinert. Kleinart will join Emeritus Professor of Geophysics Henry Pollack (co-recipient of the 2007 Nobel Peace Prize with IPCC colleagues and Al Gore) and Guy Meadows, director of the Great Lakes Research Center and Robbins professor of Sustainable Marine Engineering, in a panel discussion of the film and the ongoing World Without Ice multimedia installation, immediately following the screening in the Rozsa Center. The film will be shown at 2 p.m. on Sunday at the Rozsa Center. The movie and panel discussion are free, tickets are not required. 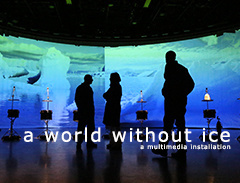 Rozsa Center in collaboration with The Department of Visual and Performing Arts, the Provost’s Office and the Great Lakes Research Center present Henry Pollack’s lecture and multimedia installation A World Without Ice. The lecture will take place, at 7:30 p.m. on Sept. 24 at the Rozsa Center for the Performing Arts. The lecture is free, but due to limited seating reserved tickets are required. The multimedia installation will take place in the McArdle Theatre, on the second floor of the Walker Center, from 10 a.m. to 6 p.m. daily, Sept. 25 through Sept. 29. The installation is free and open to the public, tickets are not required. A variety of additional lectures, classes and campus forums will also take place as a part of this event, including a panel lecture and discussion at the Forestry Friday Forum in the Forestry Building, 3–5 p.m on Sept. 25th. To reserve tickets or find out more, visit the Rosza Visual and Performing Arts. From Tech Today, by Rozsa Center. Emeritus Professor of Geophysics Henry Pollack — co-recipient of the 2007 Nobel Peace Prize with IPCC (Intergovernmental Panel on Climate Change) colleagues and Al Gore — musicians and composers Michael Gould and Steven Rush, and multimedia artist Marion Traenkle, have collaborated to create a multimedia exhibit that captures our planet’s precarious moment in global warming. Michigan Tech’s Rozsa Center and The Department of Visual and Performing Arts announces Project Learning Lab, an innovative arts classroom for Michigan Tech students and the community. 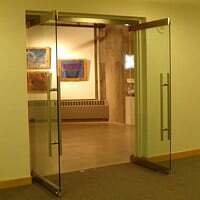 Project Learning Lab turns the Rozsa Gallery into two spaces: A professional gallery, A-Space, which presents its first professional exhibition from Sept. 25 – Nov. 14, Senses of Land; and gallery b: An active learning classroom, gallery b, is a cutting-edge Visual Arts experiment that takes place within the Rozsa gallery. There will be an opening reception and gallery discussion in A-Space for Senses of Land from 6 to 7:30 p.m. on October 10. Project Learning Lab is open M-F, 8 a.m. to 8 p.m., and on Saturdays from 11 a.m. – 8 p.m. It is free and open to the public. From Tech Today, by the Rozsa Center. The 41 North Film Festival returns to Michigan Tech’s Rozsa Center for the Performing Arts on Oct. 23-25, bringing critically-acclaimed independent films that are currently in festivals or theaters around the country and the world, along with guest filmmakers. All events are free and open to the public. 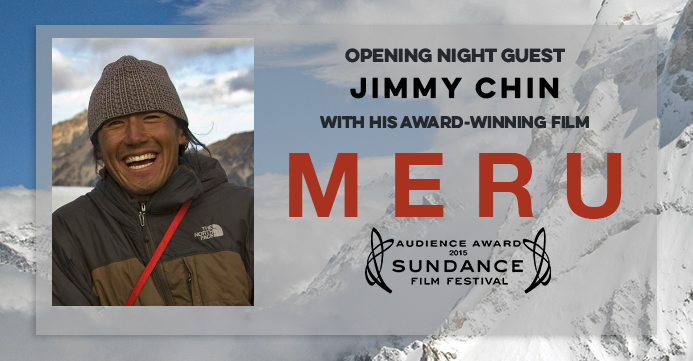 This year, the festival will feature filmmaker/photographer/climber/athlete Jimmy Chin, whose new documentary Meru tells a compelling story about risk, determination and friendship as it follows the efforts of three internationally famous climbers (Chin among them) to reach the Shark’s Fin summit of Mount Meru in the Himalayas. The film will be shown at 7:30 p.m., Friday, Oct. 23. Chin will speak after the film, answering questions and meeting with students. He is an award-winning photographer whose work has been featured regularly in National Geographic. Meru won the 2015 Sundance Audience Award. At 7:30 p.m., Saturday, Oct. 24, director and journalist Nick Berardini will be here with his new documentary about the Taser Corporation, Killing Us Safely. It is a timely story about the ethics of engineering and marketing, as well as the relationship of the police to the public as mediated through these tools. Among the other films screening during the weekend are Drone, The Wanted 18, King Georges and Here Come the Videofreex. The festival will also feature an exhibition of virtual reality documentary that employs Oculus Rift virtual reality technology. Projects featured include Ferguson Firsthand, which uses a virtual reality environment to invite the audience into the scene in Feguson, Missouri, where they can encounter people and objects that tell the story and Herders, which provides an immersive cinematic look into the lives of Mongolian yak herders. By bringing compelling stories about the world and today’s important issues to campus—along with filmmakers whose research and artistry tell those stories—the 41 North Film Festival offers the community an opportunity to think more deeply about complex questions around science, engineering, industry, politics, history and the human condition. Festival sponsors include the Michigan Tech Departments of Humanities and Visual and Performing Arts, the Van Evera Distinguished Lecture Series at the Rozsa Center, Student Affairs and Advancement, the College of Sciences and Arts, University Marketing and Communication, Institutional Diversity, the Departments of Social Sciences and Computer Science and the Indigenous Issues Discussion Group. The festival website with the full schedule and program will be online soon at http://41northfilmfest.org. For more information about the festival and its events, contact Erin Smith at ersmith@mtu.edu. From Tech Today, by Jennifer Donovan.